0 Comments Published by Jane on Tuesday, October 28, 2008 at 9:48 PM. To date, the oldest record I have uncovered connected to my family history research is Patrick Sullivan's Naturalization Document. Lucky for me, when this document was filed in 1858 the name Patrick Sullivan was unique for Thomaston, Maine. The document contains some interesting clues about my great-great grandfather. As you can see in the image above, he "signed" his naturalization document with an "X". The clerk then notes around the "X" that this is Patrick Sullivan's mark. At the time he was about 35 (or 38 if you go by the birth year on his grave stone), yet in all that time, he had not had an opportunity nor a need to learn to sign his own name. Another exciting clue in the September 7, 1858 document is Patrick's statement that he was born in County Cork, Ireland and arrived in Eastport, Maine on May 13, 1849. Unfortunately, I have not found a passenger record, but that is not very surprising since passenger records are pretty scarce for that time. I may not have any idea what my great-great grandfather looked like, but I can say that he could sign a mean "X" when needed. 1 Comments Published by Jane on Wednesday, October 22, 2008 at 8:54 PM. 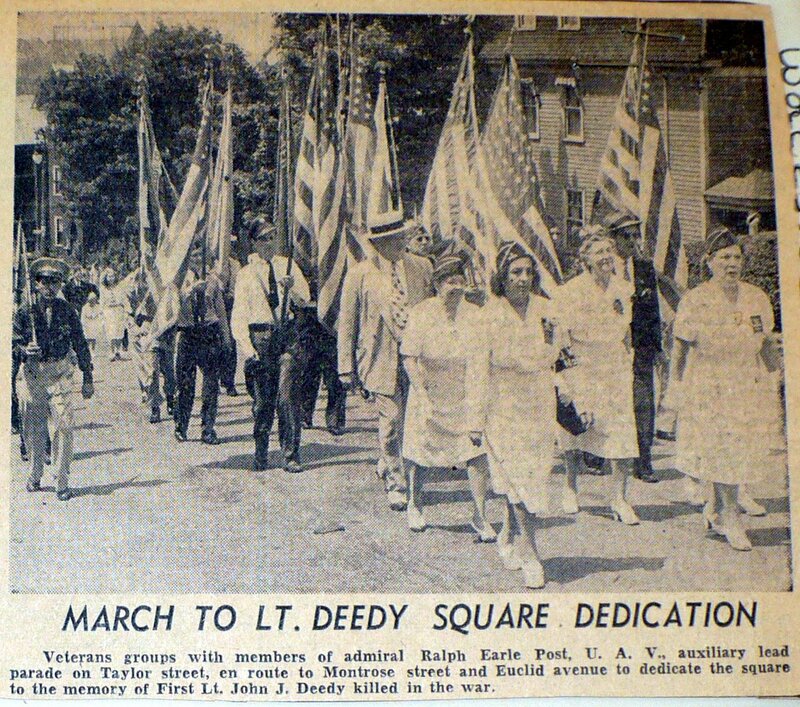 More than 300 attended the dedication of Deedy square - Montrose street and Euclid avenue - named yesterday afternoon for First Lt. John J. Deedy of 78 Fairfax road, killed in World War II. The dedication was sponsored by Admiral Ralph Earle Post United American Veterans, of which Lt. Deedy was an organizer and senior vice-commander before he entered the service in January, 1941. 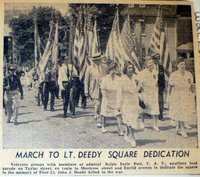 Lt. Deedy was a member of the Common Council and Ward 6 state representative when he entered the service, with the federalized 181st Inf., M.N.G. in January, 1941. He was commissioned a lieutenant in the National Guard after serving as private and sergeant in Co. A. He later was transferred to the 4th (Ivy Leaf) Division and took part in the invasion of France. In June, 1944, he was wounded in France and returned to an Army base hospital in England where he died on July 28, 1944. Lt. Deedy was awarded the Bronze Star posthumously for meritorious service in France. Next time I am in Worcester, I will need to seek out this square and take a look! 0 Comments Published by Jane on Sunday, October 19, 2008 at 2:34 PM. I have posted before about the L.W. 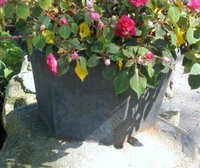 Pond company and how that Worcester business played an important role in M. Thomas O'Leary's life and for the McDonough family. 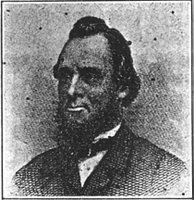 Lucius W. Pond was born in April 1826 in Worcester and worked as an apprentice for Samuel Flagg - part of a 10 man shop turning out quality tools. After only three years, L.W. Pond rose from apprentice to foreman and then partner. In 1853 Samuel Flagg retired and sold his share in the business. By 1854 Pond bought out the other remaining partners and built a new works on the Flagg site. The new works, covering at least 7 acres had scarcely been completed before it was destroyed by fire. Despite heavy losses by the failure of insurance companies, L.W. Pond was able to pay all creditors in full and rebuild. This action left the company was a remarkable credit throughout the business world. By 1875 the works employed 1,000 workers in Worcester. The Pond works gained a reputation for producing as fine a quality of tools as any in the country as well as for innovating ingenious tools. To expand the reputation of his company and attract more business, Mr. Pond opened a large store in New York City "where he placed a good assortment of his iron and wood-working machinery. This was the only wareroom in the city where such machinery could be seen in motion and this fact sold quantities of his work." You can click on the title to read the full article, but it appears Lucius passed about $40,000 in bad checks in a six month period in 1875. Knowing that his forgeries were about to be detected, he faked his own death, fled to the West Coast, and attempted to flee the country. 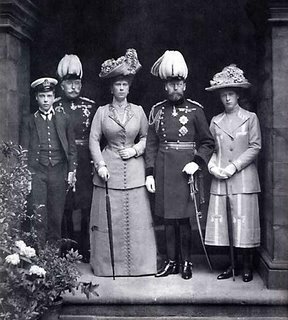 The victims of his forgeries ranged from friends, family, prominent business men, to widows, orphans, and his own church. However, in the end, the very friends he defrauded helped him obtain early pardon and eventually re-established him in business in Worcester. 1 Comments Published by Jane on Saturday, October 11, 2008 at 9:56 AM. In the 1930 Census record for the Deedy family, John G. Deedy (my grandfather) gives his occupation as foreman at Knitting Co. 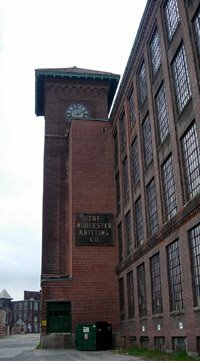 The full name of the company was the Worcester Knitting Co. and my grandfather spent most of his working life there. There is a story behind how he became employed at the knitting mill. One day John G. Deedy got into a car accident with Abraham S. Persky. It must have been a fairly minor one, or perhaps Mr. Persky was at fault. Whatever the details of that day, the result of that accident was Mr. Persky, who was the owner of the Worcester Knitting Company, became a friend and then John G. Deedy's employer. 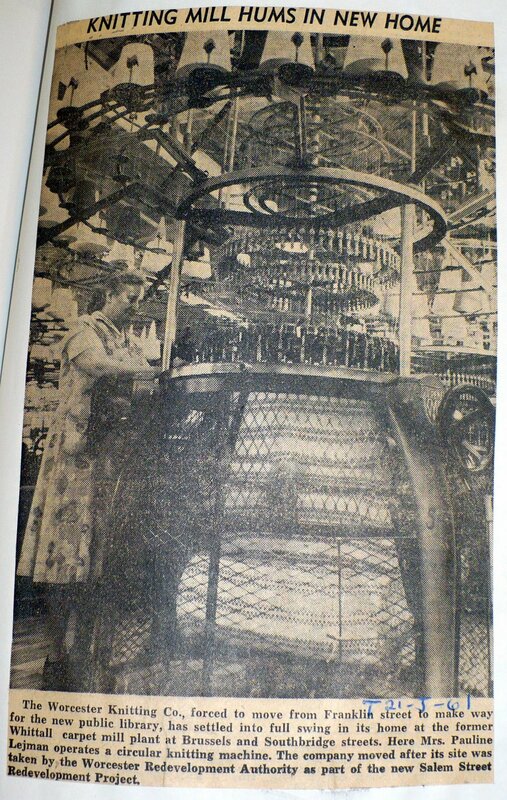 I recently visited the Worcester Public Library and searched through their clipping files for information about the Worcester Knitting Company. You can view the articles found here. It appears that one of the main products produced by the Knitting Co. in the 1940's was swim suits. As you look at the clippings you will see many different photos of people at work in the mill and the buildings. Looking through the articles, I have a better feel for what my grandfather's working environment was like. You can still visit the site of the mill in Worcester today. However, while the building still has the Worcester Knitting Co. sign, it no longer contains the mill. I believe the building is now just a warehouse. 0 Comments Published by Jane on Monday, October 06, 2008 at 8:48 PM. 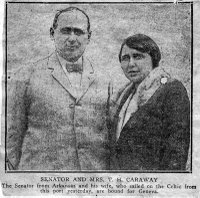 Between the pages of one of the Sullivan scrapbooks, a letter was found addressed to Maurice Sullivan from Senator Caraway of Arkansas. 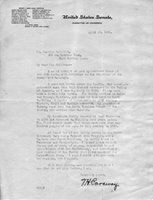 The text of the letter is below. 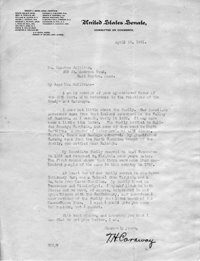 Unfortunately, the letter Maurice Sullivan wrote to Senator Caraway was not in the scrapbook. 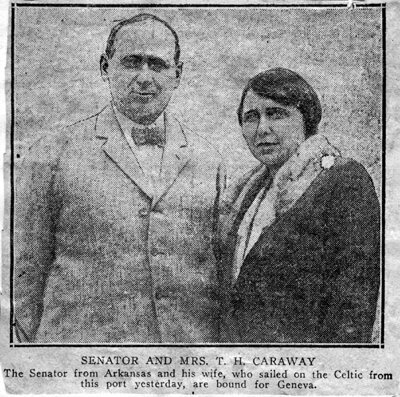 I wonder if there is a slim possibility that letter still survives among Senator Caraway's papers? Do they keep the correspondence of Senators? I am in receipt of your appreciated favor of the 20th inst. with reference to the relations of the Bradys and Caraways. I know but little about the family. 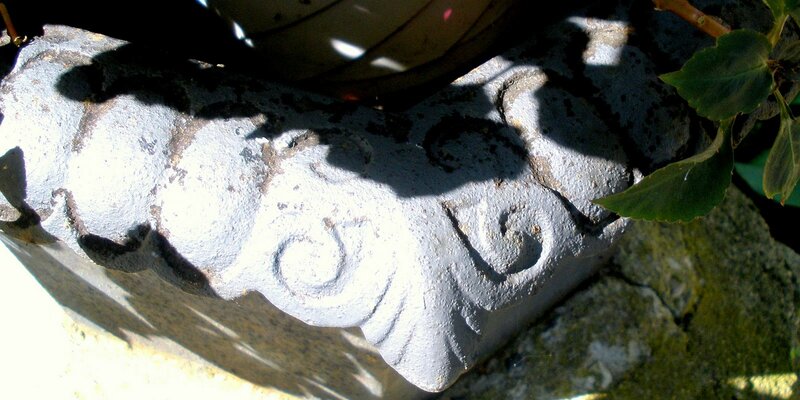 Our immediate ancestors came from West Ireland somewhere in the Valley of Shannon as I recall, early in 1633. It may have been a little time later. The family settled in Halifax County, Virginia, and some of them went to North Carolina. A number of intermarriages with Stones, Custers, Owens and Easleys occurred. My grandfather Caraway came from the North Carolina branch of the family, who settled near Raleigh. My immediate family removed to West Tennessee in 1826 and returned to Virginia some years later. The first census shows that there were more than one hundred people of the name in this country in 1780. At least two of our family served in the Revolutionary War; one a Colonel from Virginia and a Captain from North Carolina. My family lived in Tennessee and Mississippi. I myself lived in both States and we were, of course, interested in and sympathizers with the Confederacy, and therefore I know nothing of the family that lived north of the Mason-Dixon line. I wish I could give you more information, but I cannot. After reading the letter, I can see that my great-grandfather, Maurice Sullivan shared my interest in learning more about our family history. Nice to see that my inquisitiveness might be genetic based - I am not just a snoop! 0 Comments Published by Jane on Saturday, October 04, 2008 at 8:55 PM. While researching Thomas McDonough's siblings, I noticed on Martin McDonough's grave stone a notation about a Martin F. McDonough being just 16 years old when he died (see photo from grave yard tour). 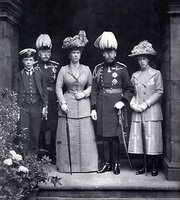 Sadly, as I research various family members, I have become accustomed to stumbling across death records for very young children. But the death of a sixteen year old? There must be some sort of a story to uncover here. First I looked up the death notice published in the Worcester Evening Post on November 7, 1898. That notice contained the bare facts of the event. The next find (1898 Worcester Evening Post long obit)provided many more clues to young Martin's short life. The Funeral of Martin McDonough This Morning. The funeral of Martin McDonough, son of Mr. and Mrs. McDonough, of No. 3 Esther street, took place from the parents' residence this morning. A requiem high mass was held at Sacred Heart church. Rev. Wm. Foley offered up the mass. The floral tributes included a pillow and 16 pinks from the Maxwell Football club, a cross marked "Our Son", pillow marked "At Rest" and a bunch of pinks tied with lavender ribbon from his comrades, star marked "Cousin" from Mr. and Mrs. Dominick Sweeney, sixteen pinks tied with white ribbon from Mary and John McDonough, bunch of chrysanthemums tied with white ribbon from Earle W. Ide and Chas. A. Church, pinks tied with white ribbon from Margaret Mullaney, sixteen white roses tied with ribbon from Susan Conlin and bouquets from P.T. and Catharine J. McDonough. The pallbearers were: John J. Brennan, Patrick J. Mullaney, John Sweeney, Martin Murphy, Patrick T. McDonough and Jas. F. Thompson. Services at the grave were read by Rev. Bernard Conaty. The burial mass was at St. John's cemetery. We now know Martin Jr. lived at 3 Esther Street, was a member of the Maxwell Football Club, and he received many floral tributes from friends and family. It appears his cousins, Patrick and Katherine McDonough attended the service, with Patrick serving as a pall bearer. Patrick would have been about 18 years old while Katherine was 16. To find out what caused Martin's death, I searched for his death record and found it here. 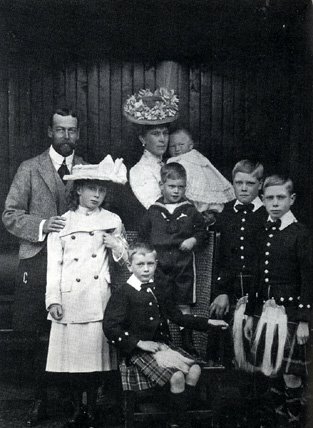 It reveals that young Martin died of pneumonia. It also reveals that Martin was employed as a wireworker. I would have expected him to still be a student.